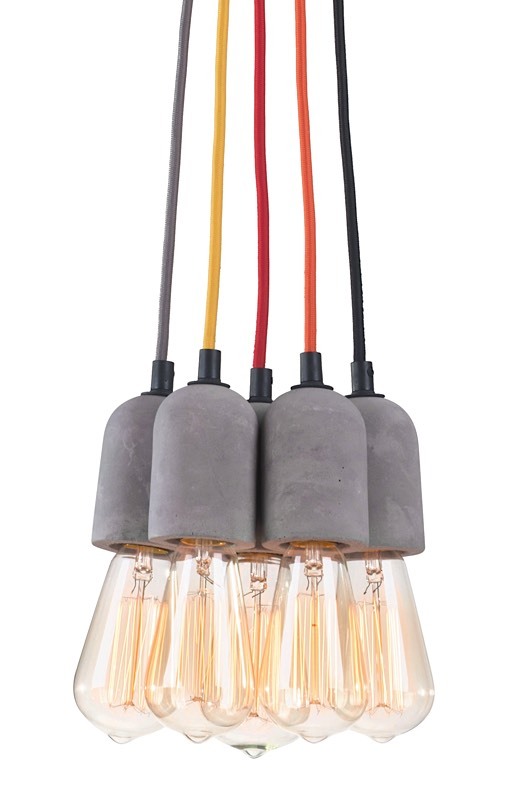 The Faith Ceiling Lamp brings a fun approach to our faux concrete collection with five (5) Edison bulbs suspended by colored electrical cords in cool grey, yellow, red, orange, and graphite. 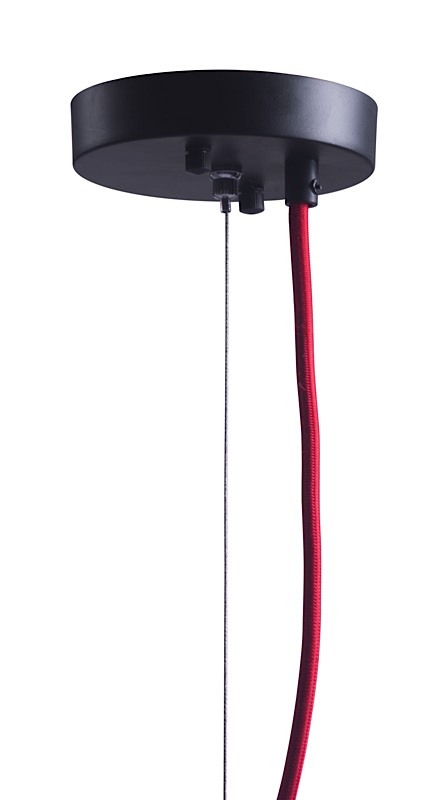 Hang in the kids' rooms, kitchen or over your bar area. 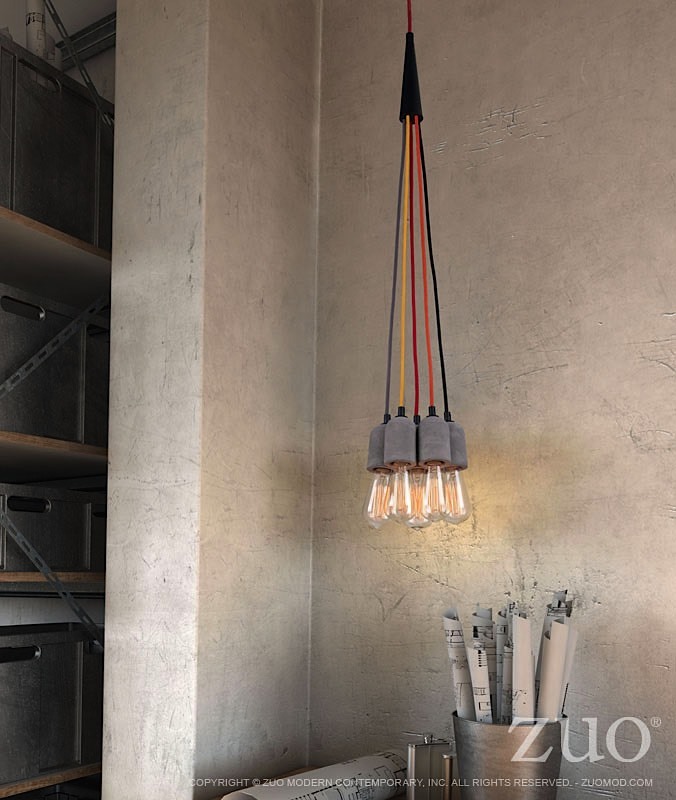 Perfect for an industrial look for cafe's or restaurants, hotel lobbies, or public spaces. Faux concrete finish is in a warm grey tone. 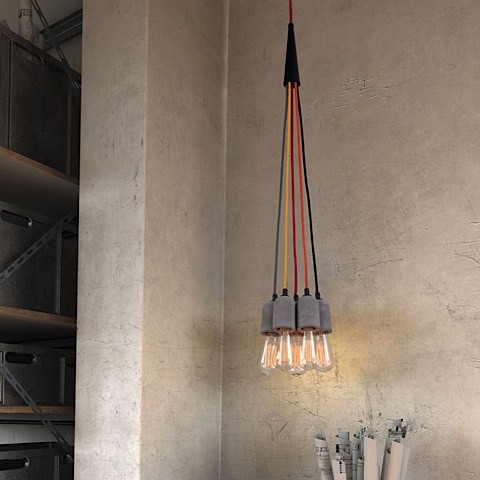 Faith requires five (5) 25 watt max Type S Edison bulbs with an E26 socket size which are included with the lamp.